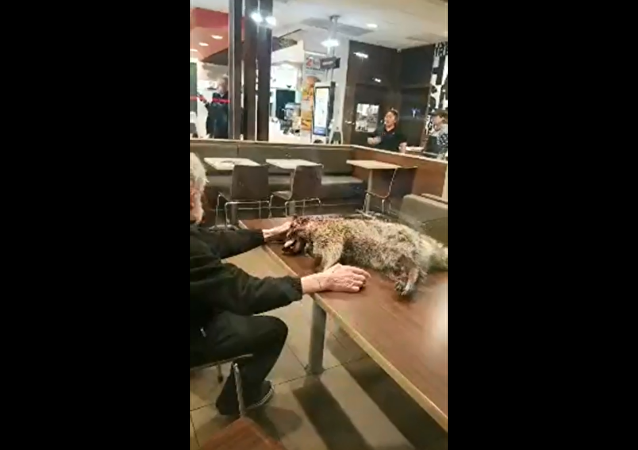 Employees and customers at a McDonald's in San Francisco, California, received the shock of a lifetime over the weekend after a fellow patron brought in a dead raccoon into the eatery, later placing it on a table. 37-year-old Jedediah Ezekiel Fulton was arrested on suspicion of second-degree disorderly conduct, second-degree criminal trespass, second-degree criminal mischief and harassment. On Wednesday, a customer and a homeless man were kicked out of a McDonald's in Myrtle Beach, South Carolina, by local law enforcement after the diner made the decision to buy the man a meal.